2. Emails, Newsletter, Blasts etc: INCIID is a 501 c 3 nonprofit organization. We support ourselves through donations, a small amount of advertising, sponsorships and contributions. When you press that submit button and become a registered member, you are AGREEING to also receive the member benefits including an occasional email blast and/or the monthly newsletter. This agreement is a very basic way to support the community. So when you press the submit button, you agree to these TOS (Terms of Service). When you unsubscribe from the newsletters and blasts, you unsubscribe yourself from the community with any/all those community privileges including (but not limited) to the IVF Scholarship program, interacting with other members and professional volunteers, access to studies etc. This is a small request that helps us with sponsors so we can keep programs, the website and other resources flowing to consumers who need them. 3. All INCID registered members are automatically added to our email blast "INCIID Community Newsletter". This is the method we use to communicate with past and present community members. You will stay on this list until you ask to be removed from the interactive community by writing to us through the INCIID contact form. 6. Members are limited to one account. Any member who is found to have duplicate accounts will have all accounts suspended immediately. There are exceptions made on a case-by-case basis. Contact INCIID with your request and reasons. In this situation the members needs to contact INCIID Administration to explain their need for a second account. This account will be issued for a short length of time only. 7. Email. Members will not forge headers or otherwise manipulate identifiers in order to disguise the origin of any Content transmitted through INCIID. If at anytime your email address bounces, your account will be suspended until email is working. 11. Copyright Etc.. Members will not upload, post, email or otherwise transmit any content that infringes any patent, trademark, trade secret, copyright or other proprietary rights ("Rights") of any party; upload, post, email or otherwise transmit any unsolicited or unauthorized advertising, promotional materials, "junk mail," "spam," "chain letters," "pyramid schemes," or any other form of solicitation. 16. Members will maintain confidentiality of their account password. This is not for use by other members. You account is to be used only by YOU, and ONLY you. You alone are fully responsible for your account. 20. Donations are non refundable after they are processed. Donations are automated through a secure internet gateway. Please be sure to check and recheck your form. You can discontinue a donation at anytime BEFORE it is processed. Once a donation is processed they are not refundable. Annual donations are processed each year and are automated. Monthly donations are also automated through the Internet gateway. If you have any questions or want to cancel a monthly or annual donation pledge, please email us INCIIDinfo@inciid.org. Donation cancellations must be in writing either via email or by FAX (703) 379-1593. We will acknowledge your cancellation as soon as we process it. Please keep the acknowledgement for your records. If you do not receive acknowledgement, you need to email usto be sure it was received. ALL donations, refunds and/or cancellations are acknowledged within 24-48 hours after they are received. Be sure to give us your user name and full name as well as contact information so we can find your record easily. 21. Administrative Time outs - please read. INCIID and the I Hosts reserve the right to pull any notes that appear to violate our guidelines. This includes, but is not limited to: misinformation, name-calling, gossip, foul language or abusive behavior toward other members, volunteers or staff. INCIID's mission is to educate and disseminate information, as well as to provide a forum for support. Discussions or comments that do not support that mission will be pulled and may result in the suspension or permanent revocation of posting/chatting privileges. Assuming an additional user name for the explicit purpose of posting provocative messages or harassing community members is a blatant violation of our guidelines and will not be tolerated. Such blatant or continued violations will be pursued through the offending poster's Internet Service Provider. When registering to participate in Chat and/or Interactive Forums, it is understood you are agreeing to abide by these Guidelines. We recognize that in a community the size of INCIID's, there will be members who do not get along. However, public displays of animosity in chat and on our forums are unacceptable and disruptive to our mission of support. Participants who cannot communicate in a civil, respectful manner will be asked to leave. Please do not engage in a discussion that is destined to degenerate into an inappropriate exchange on our support forums. If you feel a discussion is not appropriate, please contact INCIID immediately with "Problem Alert" as the topic of your email message. Please do not add your own commentary or engage the posters in further dialogue as this generally escalates the problem. Please Respect the Privacy of Individuals. This means no posting of personal phone numbers, addresses, social security numbers or any other private or identifying information. You MAY post the business phone number or address of a doctor referral so others may contact him/her at his office for an appointment. Remember, no matter how intimate and private you think your conversations may be, the Internet and the World Wide Web are PUBLIC places where millions of people gather. Please do not share someone else’s experiences or stories without their permission. If you feel someone would benefit from another member's experience, either email that person and direct them to the post they could help with, or direct the poster to the board that the experienced member now posts on. Posting email sent from another member without their permission is also not permitted. In posting photographs on the Internet, you must understand and acknowledge that many different people use the Internet and that INCIID does not know who will visit its site or how the information on its website will be used. So in posting photos you agree to assume all liability for any claims, loss, or injury of whatsoever nature arising out of INCIID’s use(s) of the picture(s) of your child/children that you submit, including but not limited to posting the picture(s) on INCIID’s website. Please do not "fan the flames" by responding to abusive or obscene messages. Instead, please contact INCIID, and we will review the problem messages quickly. Severe, repeat or multiple violations will be reported to the violator's ISP (Internet Service Provider). Please refrain from crossposting as it is considered highly inappropriate and rude. To broadcast your message to a selection of the INCIID bulletin board groups merely to have more people read it is not considered good netiquette. Note also that many people automatically ignore articles posted to more than two or three groups. Often, even when an article is appropriate for multiple boards, it is desirable to redirect all follow-up discussion into one particular bulletin board. Please respect the INCIID community and do NOT crosspost. Because our experts are volunteering their time and effort to answer questions on our boards, we request that chit-chat, requests for support and prayer chains be limited to support boards. Messages that are we feel are inappropriately posted on medical boards will be removed.When posting a message on a medical board, please be sure to make sure you are posting in the most appropriate forum. Please remember that those responding to your questions are VOLUNTEERS who are donating their time and talents. If your note is missed, please don't reprimand them --- simply repost your note! Notes complaining or reprimanding our experts will be removed. If you have a complaint about an INCIID Expert, send it via email to INCIIDinfo@inciid.org . All such correspondence is confidential. Only those licensed to prescribe and dispense medications may sell these drugs. It is INCIID's belief that the sale of prescription medications through unknown sources via the Internet is dangerous. INCIID strongly advises against such practices. Posts suggestive of buying, loaning, selling, or donating such drugs or other prescription devices will be removed immediately. We will also be pulling posts that ask for medications or ask for information on how to go about obtaining medications from an unlicensed source. The violation will also be referred to the FDA and the appropriate administrator for the violator's ISP (Internet Service Provider). Advertising commercial or personal web sites on INCIID boards or chat rooms for purposes of driving traffic or selling products (including links to auction sites) is prohibited. Anything construed as an advertisement will be pulled, including messages regarding donor gametes, infertility products or services and adoption services. Links posted to sites that mimic INCIID or duplicate INCIID's support and information services in the areas of family building, pregnancy loss, pregnancy and parenting are prohibited—this includes individual mailing lists set up by INCIID members. Individuals who believe they have sites with valuable services for INCIID consumers, including notice of seminars or events, may request, in writing, permission to post a link from our forums. INCIID reserves the right to refuse any such requests. INCIID has a liberal policy toward other incorporated, 501(c)3 nonprofit organizations that have advisory panels with the appropriate expertise. Links to sites which host "lists" of INCIID participants provided all those listed have specifically requested inclusion. An example of an approved site would be a webpage set up for the members of the “Pregnant, due January Board”. It does not include posting about a mailing list set up for members of the board. INCIID also prohibits posts soliciting information or data from INCIID members for use in articles or research papers without prior permission from INCIID. Please request, in writing, permission to post such requests. Approved requests for information will be posted by INCIID administrators to assure that all guidelines are followed. If in doubt, please e-mail us at editor@inciid.org and include a link to the site you are interested in promoting. INCIID has gone to great lengths to ensure the privacy of its participants. While individual participants may e-mail each other to ask for clarification about a procedure or topic, the e-mail addresses are scrambled to protect the recipient's privacy. The only way a spammer can get your actual e-mail address is if you respond via e-mail. It is our belief that this "scrambling process" makes it too difficult for most spammers to pursue visitors on the INCIID site. "Spam" is any unsolicited e-mail promoting a product, site or activity. However, there have been incidents where our participants have been "spammed." If you are the victim of such spam, we encourage you to NOT respond to the offensive e-mail, but to forward it directly to webmaster@inciid.org. We will cancel the accounts of people who abuse our e-mail mechanisms to make unrequested solicitations of our participants, and will report overt offenses of standard netiquette to the offender's ISP. ALL FORUMS EXCEPT PREGNANCY/PARENTING:Everyone is encouraged to make an announcement of their pregnancy on the message boards where they normally travel and post. Out of respect to the other members of the board, you are allowed the posting of one positive home pregnancy test result and one beta result. After these have been posted, updates need to be moved to one of the pregnancy boards to the Back Fence. The only exception to this rule will be falling betas. Any beta number too low to be conclusive, or if you have a strong beta but then the numbers fall, you certainly may seek the support from your Room friends and post that there is an update on another board. Second beta numbers ARE allowed if the first one is inconclusive (for our purposes we are considering any initial beta of less than 50 to be ‘inconclusive’). Any questions regarding beta numbers or requests for success stories are NOT appropriate on the support forums and pregnancy "chatter" (no matter how serious the discussion may be) is forbidden. These questions should be posted on the Beta Board or one of the pregnancy forums. Any posts requesting information regarding specific experiences or information in pregnancy will be pulled immediately. We also ask that you ONLY post that there is an update on the Beta Board or Back Fence when someone asks you how you're doing. Any "unsolicited" updates will be pulled immediately. If someone should ask how you're doing, refer them to your post in the appropriate forum, and TAKE THE DISCUSSION there. We also ask you refrain from posting information about your success as ‘inspiration’ for those still building their family. While your intention is provide hope, these posts are actually heart-wrenching reminders of their failures. While we understand that sometimes we need the encouragement of hearing of other successes, requests for these stories do not belong on Infertility Forums. These posts will be pulled immediately and they should be reposted on the pregnancy or parenting boards. Please remember that the Grief and Loss Board is considered an Infertility Forums, and posts should be adhering to those guidelines. Now that INCIID has both the Pregnancy After Loss and Parenting After Loss these are the appropriate forums for discussing any concerns relating to pregnancy and parenting issues and how they relate to your loss. Any discussions of pregnancy or parenting issues will be pulled immediately. The infertility boards are supposed to be the one little corner of the world that is a safe haven where those who are struggling with infertility can come and not be assaulted by details of pregnancy and the joys of babies. It is NORMAL for all of us struggling with infertility to have "those days" where hearing about someone ELSE'S success can send you straight down the deep dark hole of depression. This doesn't mean they aren't happy for YOU, it just means they are so sad for THEMSELVES. If you have any questions whether your post is appropriate, please email the I Host for that forum rather than post the question on the boards. Sometimes something as simple as a question can be heartbreaking for others as well. The one exception to this guideline is on our General Infertility board. We currently have no place for those with tentative pregnancies to find the medical answers they need, so medical questions directed to the Reproductive Endocrinologists who share responsibility for our General Infertility Board are permitted. These questions should be limited to those that would normally be asked of a reproductive endocrinologist in the first weeks of pregnancy---usually through the ultrasound visualization of a heartbeat (questions regarding pregnancy after this point should be directed to the High Risk Pregnancy Forum). However, we ask that these discussions stay focused on the medical aspects of the pregnancy and do not digress to personal conversations. PARENTING FORUMS: The guidelines for announcing and discussing your pregnancy on the Parenting Forums are the same as those for the Infertility Forums. Certainly, there are going to be times when it's appropriate to mention your pregnancy in the context of parenting---but pregnancy "discussions" belong on the pregnancy boards. If you are mentioning your pregnancy, "PG Mentioned" belongs in the header. Leave the DETAILS inside the post so that readers aren't blindsided by your story. The parenting boards are certainly the place to post those questions that can only be answered by women who have already been through a pregnancy and delivery, such as those regarding pregnancy experiences or labor and delivery. Just please remember that many parents with "only children" still struggle with the fact that there won't be any more pregnancies for them. Sometimes it can be difficult to determine if your post follows the guidelines. The rule of thumb is that discussions about how the pregnancy is affecting your PARENTING are fine--- Such as, "Susie always wants to be on the go, but I am so tired. Any ideas for keeping her occupied?" Discussions about the PREGNANCY itself belong on the pregnancy forums-"I am just so tired all the time" are not. If you can remove the mention of the pregnancy and still have something to talk about (in this example, you can still talk about Susie) then it should pass the guidelines test. Simply put, as yourself if there is a board specifically for the question you are asking. If so, go use it. In this world of Huggies commercials, Gerber Baby Food coupons and a holiday season of cherubic children on Santa's lap at the mall, let's please take special care to remember how rough the world can be for those who are left out of the babyhood celebration. First and foremost, INCIID is committed to protecting the most vulnerable members. ANY POSTS IN VIOLATION OF THIS GUIDELINE WILL BE PULLED IMMEDIATELY. Guidelines for Adoption Chatter are similar to those of Pregnancy Chatter. Please do not post details of your adoption on the infertility forums. If asked about your adoption, please refer them to the Back Fence or one of the Adoption Forum boards and take the discussion there. It is not appropriate to post polls on the parenting boards about who is trying to conceive, what their status is, etc. If you wish to catch up with your friends and their status in regards to trying to conceive, please post a poll on the Back Fence and include a link on the parenting board (with the proper header of course). If someone asks about your status of trying to conceive, please provide them with a link to your update on one of our many TTC boards or cafes. You are welcome to post one birth announcement on the Parenting Boards that you visit (besides the one for the child being announced). This announcement should be a simple post (with correct headers) with a link to the appropriate Pregnancy forum. All responses should be posted on the Pregnancy Forum. Please refrain from posting announcements for other members unless specifically asked to, as announcements by others will count as the single permitted announcement. Adoption can be just as stressful as infertility treatments. Some days are good, some days are extremely frustrating. The waiting can seem endless, and the dream of holding your child in your arms can seem so far away. Because all of this, we ask that you use the Parenting After Adoption board for any and all child chatter. Please do not advertise for a potential adoptive parent for an available child. INCIID is not the place for potential birth mothers, lawyers, agencies, or well meaning members to post asking for any interested potential adoptive parents to email or contact them. Adoption laws vary from state to state, and what is legal and permissible in one state may not be in another. Also, the liability for such posts far exceeds what INCIID is willing to risk. Conversely, please do not advertise for a potential birth mother to contact you. PG MENT: Is for all posts that mention a pregnancy, whether it is yours, a friend's, or just the concept of pregnancy. Do not post beta numbers or specific information about your pregnancy in your subject lines; instead post a general subject line with a warning of the content. Save the detail for the body of the message. (Not applicable in the pregnancy forums). CHILD MENT: Is for all posts that mention a child, whether it is yours or not. Do not post milestones or specific information about your child in your subject lines; instead post a general subject line with a warning of the content. Save the detail for the body of the message. (Not applicable in the parenting/pregnancy forums and on the Secondary Infertility Board). ADOPT MENT: Is for any post discussing a specificadoption. This does not include mentioning moving to adoption as an option. (Not applicable in the adoption forums). SIB MENT: Is for when you are mentioning (or posting a picture of) a sibling in your post on Parenting forums that are age specific or when mentioning sibling(s) of Multiples on that forum. As with the pregnancy chatter guidelines mentioned above, certainly, there are going to be times when it's appropriate to mention your other sibling(s) in the context of parenting but main subject of the post should be the child that ‘belongs’ to the forum you are posting. Please remember that your signature line(s) is part of your post, and must meet the same requirements as the header and body of the post. We will be pulling ANY posts that do not following posting guidelines. If your post is pulled you will receive an email explaining why your post was pulled. You are welcome to repost with the correct headers. Also, please remember that if you need to use a sensitive header, you should make sure your post is even appropriate for that forum. Too much text in the subject line which distorts the flow of the messages. Duplicate messages posted; accidental or intentional (spamming). First violations, receive warnings from an INCIID representative. A third violation will be handled on a case-by-case basis. INCIID will notify via email any poster who has received a time out within a reasonable amount of time. Arguing with any decision to give a time-out is a violation of TOS and cause for suspension of an account. INCIID reserves the right to revoke and terminate membership at their discretion. 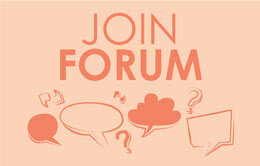 INCIID welcomes all comments and suggestions on how to improve the quality and support offered by the boards. To make a suggestion, please contact INCIID. We want to do everything possible (and practical) to ensure a positive, community-focused experience for all our members on INCIID, and feedback from posters and lurkers is central to that goal. We ask that you please bring any concerns or debates about our guidelines to us via email instead of on the support forums, as it distracts from the purpose of these boards. Posts that debate or criticize INCIID policies tend to only bring out the worst in people, and will be pulled immediately. Registering for membership and/or using the INCIID email system and/or using other of INCIID’s features constitutes agreement by the user with INCIID to abide by the INCIID guidelines and to abide by any and all future amendments to the guidelines. INCIID Guidelines are subject to change without notice. Notification of these changes may be made through posts on individual Boards or by updating the TOS/Guidelines here.